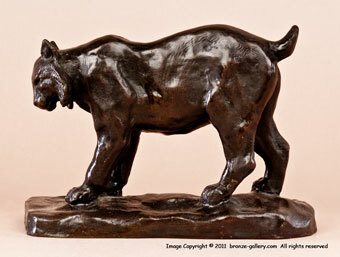 Adrien Voisin created several small models of American Lynx or Bobcats in different poses. Here is his Lynx Standing, which shows the wild cat in a relaxed position, standing calmly on all four paws. This fine American bronze is a lost wax cast done at the Powell Foundry in Montana. These were done in a small edition of only 36 bronzes cast, this one is cast #32. 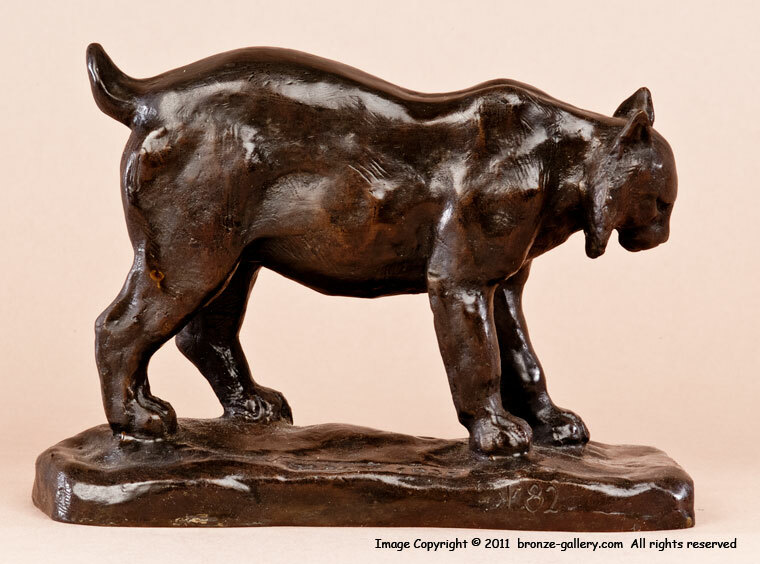 It is finished in a rich dark brown black patina, dated 1935 and signed VOISIN on the base.